Former Northern Ireland Deputy First Minister Martin McGuinness spoke to reporters in December 2014 in London. McGuinness stepped down last month. 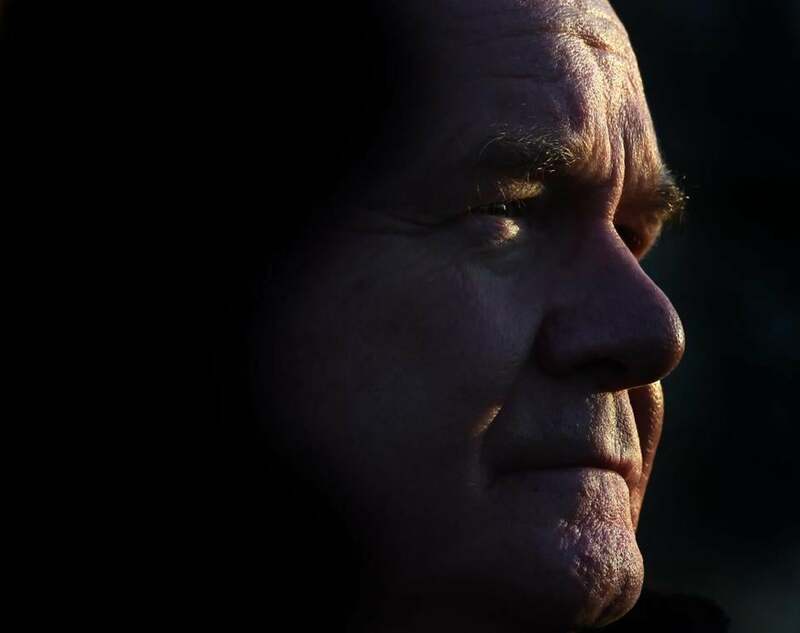 When Martin McGUINNESS announced last month that he would retire from politics to focus on his failing health, many hailed him as a peacemaker, while those with longer memories were keen to point out how he had perpetuated the war he eventually helped end. He was, indeed, as important as anyone in persuading the Irish Republican Army, which he once led, to acknowledge that violence in Northern Ireland had become pointless, and that the only way to move toward his side’s goal of achieving a 32-county Irish Republic was through peaceful, democratic methods. More impressive, though, was his ability to work with his former enemies. And his trajectory from gunman to statesman is a potent example in a world where terrorism has replaced traditional warfare in divided societies. Getting out of the cul-de-sac of intractable, ideological violence requires leaders to shed old ways and shibboleths — but so few can. McGuinness stands out not just because he backed off his hardest-line views, but because people who once considered him evil decided to trust him. In the 1970s, McGuinness did much to stoke what the Irish quaintly call “the Troubles.” A former IRA volunteer who served under McGuinness in Derry in the early 1970s told me once that McGuinness was the most unreconstructed of hawks. “Martin believed that if we killed not hundreds but thousands in a very short period of time, the Brits would be forced to make a deal,” said the man, who later served almost 15 years in prison after being convicted of IRA activity. But as years of futile, cyclical violence passed, McGuinness became an advocate not just of transitioning to democratic politics, but of genuine reconciliation, willing to embrace people whom he used to want to kill. 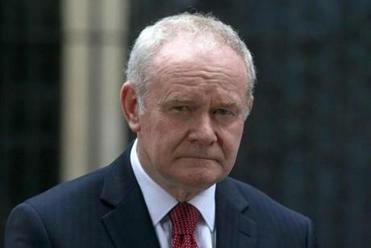 Deputy First Minister Martin McGuinness quit in a showdown with his Protestant colleague. McGuinness, now 66, didn’t grow up in a politicized family. His parents went to Mass every day, and he and his six brothers and sister knelt to say the Rosary every night in their small, two-bedroom house on Derry’s Bogside. He left school at 15 and was radicalized as a teenager in the 1960s, while watching the heavy-handed suppression of the Catholic civil rights movement in Northern Ireland, which had been modeled on the American civil rights movement. He rose quickly through the ranks of the Provisional IRA — more because so many IRA men were being arrested than because of his paramilitary acumen. By early 1972, McGuinness was by his own admission the second-in-command of the IRA in Derry. He was 21. Any chance that Northern Ireland might avoid a wholesale slide into civil conflict ended that year on Bloody Sunday, when 14 unarmed demonstrators were shot to death by British soldiers. The slaughter, and especially the coverup that followed, flooded the IRA with volunteers. McGuinness in particular was hardened by the experience and pushed the IRA to hit back ruthlessly. Nearly half the more than 3,500 people who were killed in the Troubles died in the five years that followed Bloody Sunday. 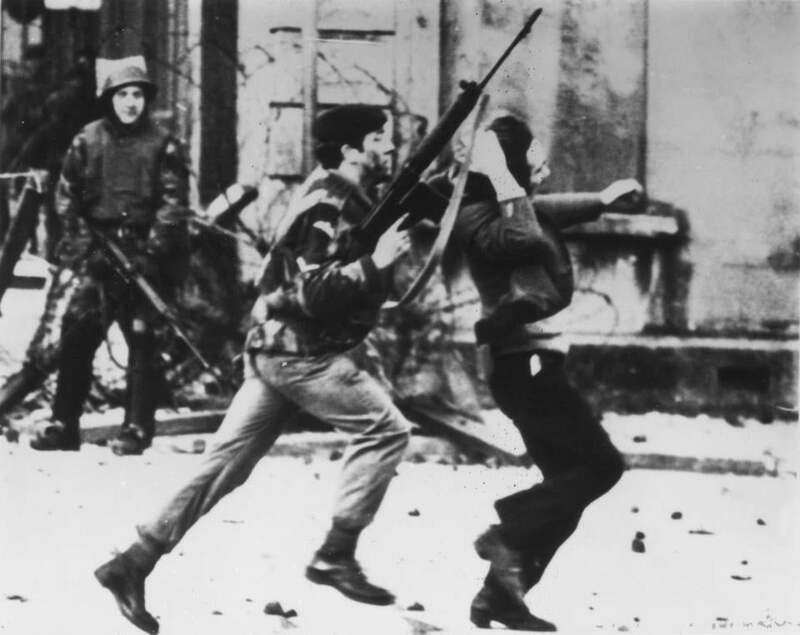 An armed soldier attacks a protester on Bloody Sunday. As a teenager, McGuinness had trained to be a butcher. In the 1970s and ’80s, most Protestant unionists, who wanted to remain subjects of the United Kingdom, called him the “butcher of Bogside” for a different reason. And yet, by the 1990s, McGuinness had, with Sinn Fein leader Gerry Adams, slowly begun winding down what had been the world’s most resilient insurgency, preparing IRA fighters, prisoners, and veterans for the eventual denouement. Unlike Adams, who denies ever being in the IRA, McGuinness admitted his role as an IRA commander; his forthrightness was one of the reasons Ulster unionists, who pride themselves on being straight talkers, eventually came to trust him. McGuinness was Sinn Fein’s chief negotiator during the talks that led to the Good Friday Agreement in 1998, essentially ending the Troubles. But it was a year before, in 1997, that McGuinness had something of a political epiphany, in South Africa, where Nelson Mandela hosted leading political figures from both sides of the divide in Northern Ireland. Having grown up in a city where the Catholic nationalist majority was disenfranchised by gerrymandering and discriminatory laws, McGuinness had a natural affinity for black South Africans’ cause. Mandela was one of his heroes. At one point, McGuinness complained to the South African leader about how hard unionists were making it for republicans, by moving the goal posts, by making demands they should have realized republicans couldn’t deliver on and keep their base with them. The unionists were being unrealistic, and McGuinness was in no mood to accommodate them. McGuinness and others who played significant roles in negotiating the end to apartheid in South Africa or the Troubles in Northern Ireland went on to mentor others involved with deep-seated conflicts, including Basques, Palestinians, Bosnians, and others. In 2007, O’Malley brought McGuinness and other leaders from Northern Ireland and South Africa to a remote Finnish resort to help Iraqis, both Sunni and Shi’ite, figure out a way through their morass. One of the sessions was jointly led by McGuinness and Jeffrey Donaldson, a leading member of the Democratic Unionist Party, which represents most Protestants in Northern Ireland. Ten years earlier in South Africa, Donaldson had refused even to be in the same room as McGuinness. 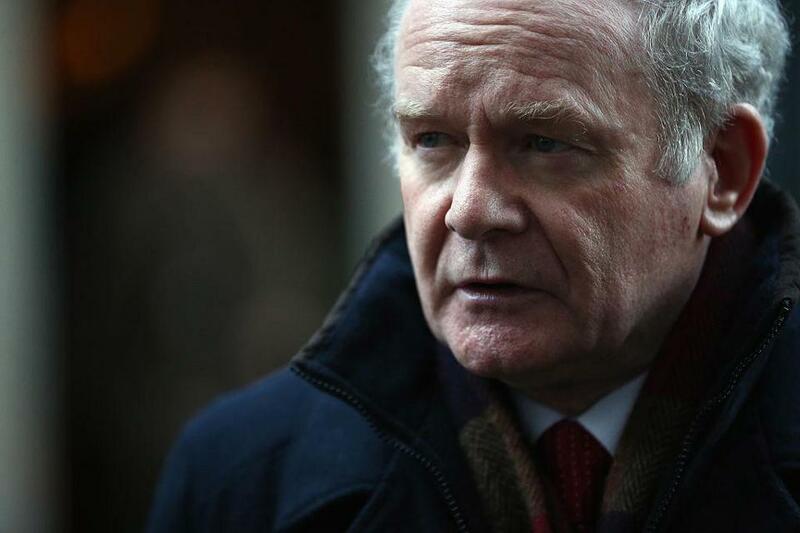 Martin McGuinness addresses the media at cross party talks on December 12, 2014 in Belfast. Still, it was McGuinness’s most unlikely friendship, with the Rev. Ian Paisley, a fundamentalist Protestant preacher, that best showed the possibilities that can result from replacing conflict with compromise. Paisley, who founded and long led the Democratic Unionist Party and was one of the most divisive figures in Northern Ireland for generations, had refused to take part in the negotiations that led to the Good Friday Agreement. But he played his hand brilliantly. By allowing his rivals in the Ulster Unionist Party to take the first tentative steps toward power-sharing with Irish republicans, Paisley positioned himself and his party as the protectors of the Protestant people in Northern Ireland. His party replaced the Ulster Unionists as the party that represents most unionists. In 2007, after extensive negotiations, Paisley and McGuinness became the first minister and deputy first minister, respectively, of the Northern Ireland assembly. That they were both willing to share power was surprising. More surprisingly, they became friends. Paisley had routinely denounced the pope as the anti-Christ and Sinn Fein politicians, including McGuinness, as murderers. McGuinness had called Paisley a bigot who had encouraged young loyalists to kill nationalists. Now, as the leaders of a power-sharing government, McGuinness and Paisley got on so well in public that they were dubbed the Chuckle Brothers. Some dismissed it as an act. 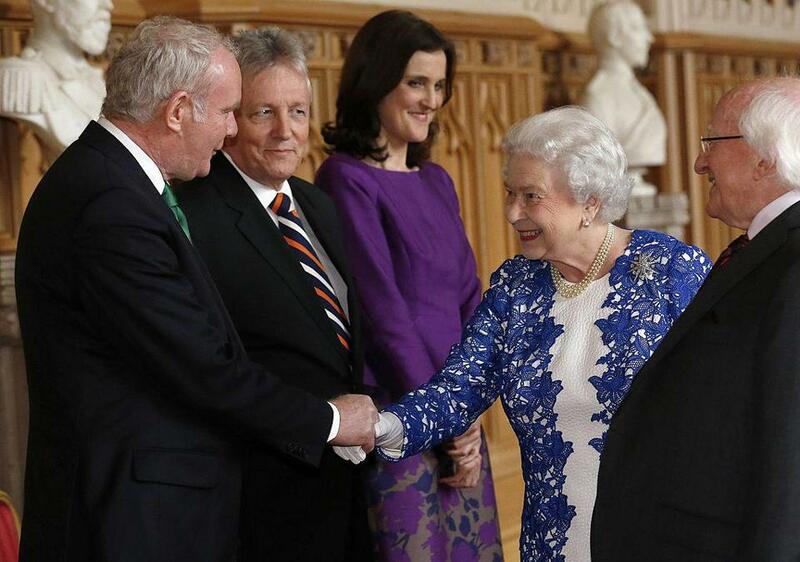 But in several conversations, over a period of years, McGuinness told me their friendship was genuine. He said Paisley, like him, had something of an epiphany. Timothy Phillips, the founder and CEO of Beyond Conflict, a Boston-based international organization that has worked on peace and reconciliation projects in more than 100 countries, has known McGuinness for almost a quarter-century. He compared McGuinness’s ability and willingness to do things that weren’t popular with his base, in the name of reconciliation, to Mandela’s. He compared Mandela’s working with and becoming friendly with F.W. de Klerk, the last apartheid leader in South Africa, to McGuinness’s relationship with Paisley. Paisley fell ill in 2012, but smiled when, that year, McGuinness shook hands with Queen Elizabeth II. Some republicans will never forgive McGuinness for doing so. But for both of those involved, the rapprochement was as personal as it was symbolic: McGuinness was widely believed to have been chief of staff of the IRA when the IRA assassinated the queen’s cousin, Lord Mountbatten, in 1979. Queen Elizabeth ll greets Martin McGuinness during a Northern Ireland-themed reception at Windsor Castle on April 10, 2014. After Paisley left government, McGuinness regularly checked in on him, texting Paisley’s wife, Eileen. When Paisley died in 2014, McGuinness said he had lost more than a colleague. He had lost a friend. “His friendship with Martin McGuinness had meant something very special to him,” Eileen Paisley said. Ironically, given how much he had made power-sharing normal, McGuinness’s last act in politics was to pull the plug on the power-sharing government. It collapsed when McGuinness resigned as deputy first minister to protest the refusal of DUP leader Arlene Foster to step down as first minister over her handling of a botched green energy program. Some unionists responded with antipathy, and many were quick to balance the tributes to McGuinness with reminders of his violent past. Martin McGuinness’s legacy may well be that his clasping the hands of former enemies will ultimately accomplish more than holding a gun ever could. Kevin Cullen is a Globe columnist.